Several authors have contacted Evomusart to get an extension of the submission deadline. It was therefore agreed, to extend the deadline for all events. Authors who have already submitted their work may update their submission until the deadline. The new submission deadline is December 7.
evomusart 2012 is the tenth European event on Evolutionary Music and Art. Following the success of previous events and the importance of the field of evolutionary and biologically inspired music, sound, art and design, evomusart has became a evo* conference with independent proceedings. Thus, evomusart 2012 is the tenth European Event on Evolutionary and Biologically Inspired Music, Sound, Art and Design and the first conference on the field. The use of biologically inspired techniques for the development of artistic systems is a recent, exciting and significant area of research. There is a growing interest in the application of these techniques in fields such as: visual art and music generation, analysis, and interpretation; sound synthesis; architecture; video; poetry; design; and other creative tasks. The main goal of evomusart 2012 is to bring together researchers who are using biologically inspired computer techniques for artistic tasks, providing the opportunity to promote, present and discuss ongoing work in the area. 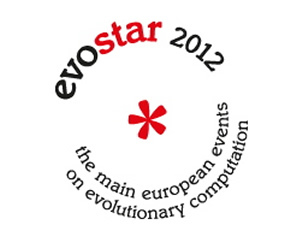 The event will be held from 11-13 April, 2012 in Malaga, Spain as part of the evostar event. Publication Details : Accepted papers will be presented orally at the event and included in the evomusart proceedings, published by Springer Verlag in a dedicated volume of the Lecture Notes in Computer Science series. Post-Conference Journal Publication : Authors of selected papers will be invited to submit expanded versions of their work for a planned special issue on Evolutionary Art and Music of the Springer journal Genetic Programming and Evolvable Machines. The reviewing process will be double-blind, please omit information about the authors in the submitted paper.